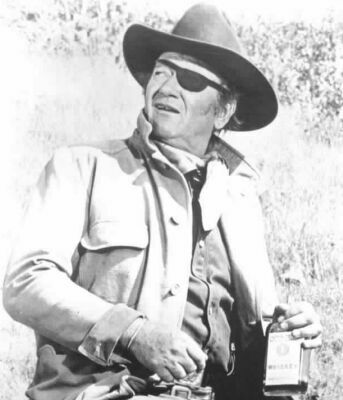 John Wayne was one of the most successful actors in the history of Hollywood. For 25 years he was rated at or around the top in Hollywood movies box-office appeal and his films grossed over $700million - a record matched by no other actor or actress. He deliberately created and fostered an image of the Hollywood tough guy. 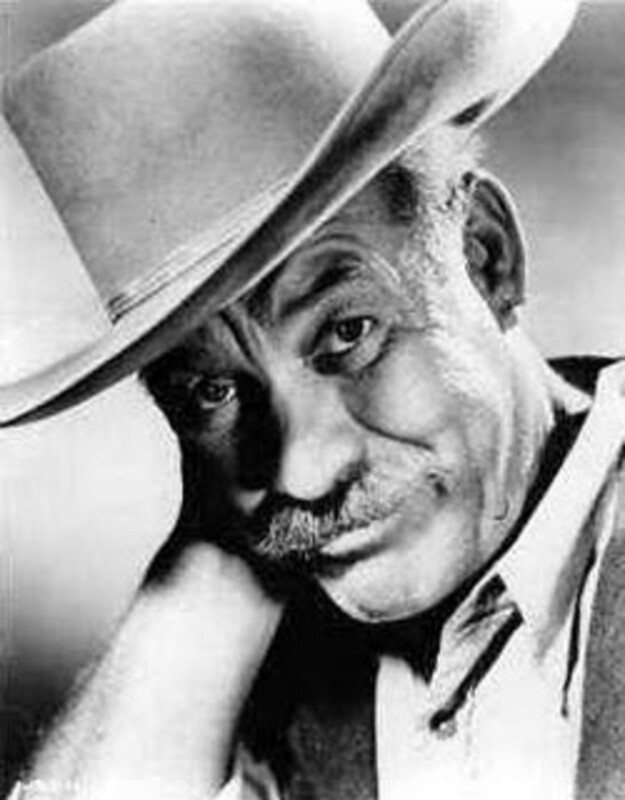 We most closely associate him with action movies, particularly Westerns, but he also made a wide range of films from various genres - war, romantic comedies, police dramas, and more. Yet he was much more than just a successful movie actor. He became a unique embodiment of strength, determination and moral courage for the whole world to admire and emulate. He, more than anyone else in Hollywood history became a living legend. His career began in silent movies in the 1920s and he was a major star from the 1940s to the 1970s. 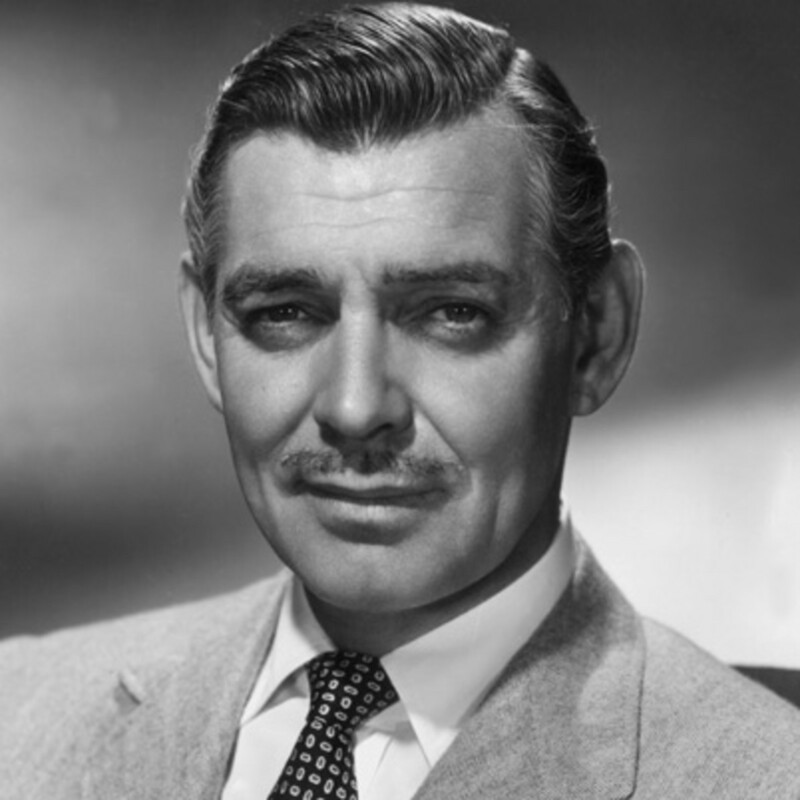 Wayne was named thirteenth among the Greatest Male Stars of All Time by the American Film Institute. 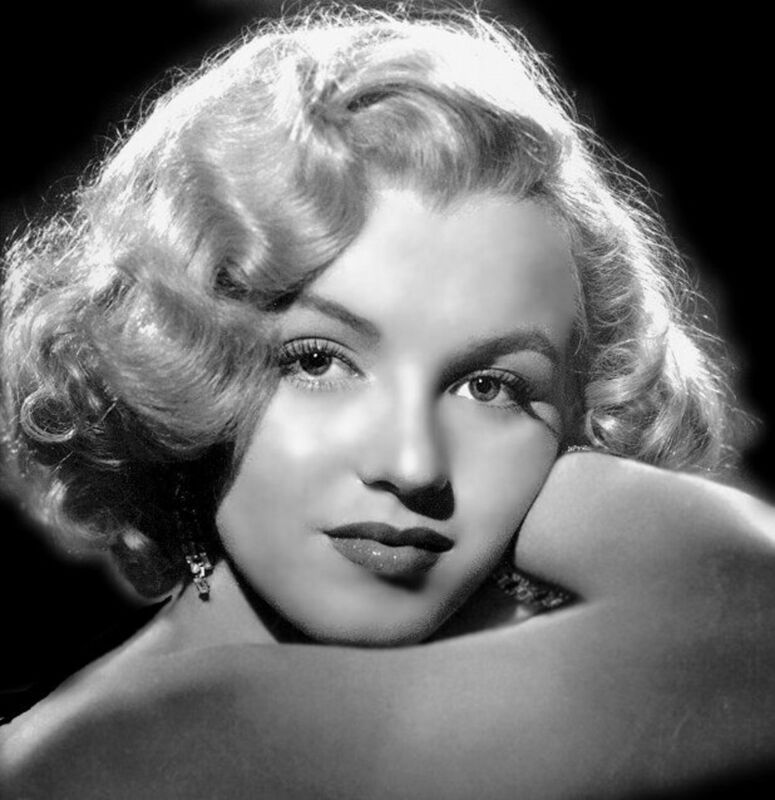 A Harris Poll released in 2007 placed Wayne third among America's favorite film stars, the only one who has appeared on the poll every year. He was born Marion Michael Morrison in Winterset, Iowa, on May 26, 1907 and later the family settled in Glendale, where his father opened a pharmacy. While still at school young Marion worked for his father, delivering orders. He developed an early interest in the fledgling movie business as the store was in the same building as a movie theater and he was let in for nothing. He was also able to watch actors and directors making movies at the nearby Triangle studios. He had an Airedale Terrier, called Duke, and it is from the dog, not from any dubious royal connections, that his nickname derived. At 6'4" he was physically imposing and a natural athlete and he became a member of an outstanding football team at high school. 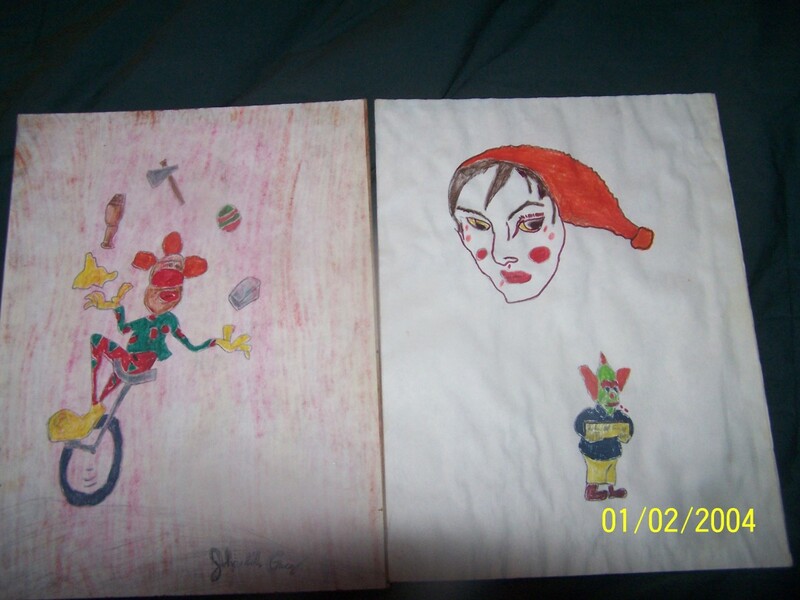 When he left school he worked as a truck driver, then a picker on an orange plantation. His athletic talents brought him a football scholarship at the University of Southern California, but a serious ankle injury in his second year forced him to drop out of competitive play. While at the university, in 1926, Wayne, along with many of his fellow athletes, began working at the local film studios. 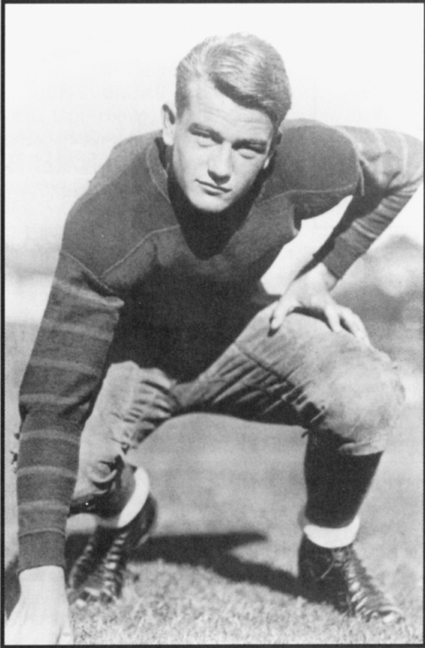 He appeared with his USC teammates playing on-screen football in The Dropkick and Brown of Harvard, and was one of the featured football players in Columbia Pictures' Maker of Men (released in 1931). He formed a friendship with director John Ford and began getting bit parts from him. 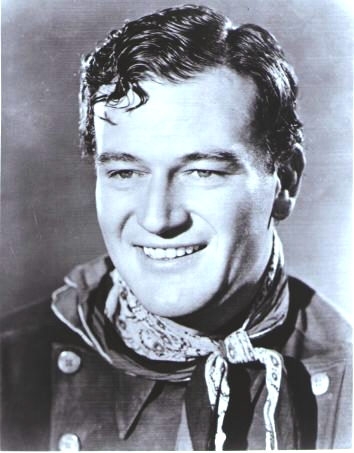 The name Marion was regarded as not suited to his macho acting style and was quickly dropped and after a billing as Duke Morrison he finally changed his name in 1930 in a movie called The Big Trail. 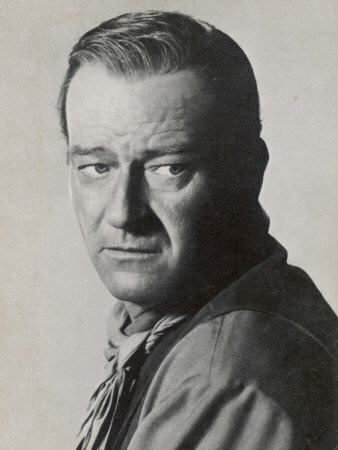 John Wayne had arrived and his journey to major stardom had begun. From bit parts he gradually worked his way into real acting roles. Between 1933 and 1939, he made more than 40 films, mainly westerns, gradually honing his acting style and screen persona, his speech rhythms and rolling walk, into what we would recognise today. In 1939 John Ford finally convinced United Artists to give him the role of the Ringo Kid in his classic film Stagecoach, the first Western with real depth. The film was a great success and almost overnight it elevated Wayne from a supporting player to a household name. John Wayne married Josephine Saenz, daughter of the Panamanian Consul in Los Angeles on June 23, 1933. 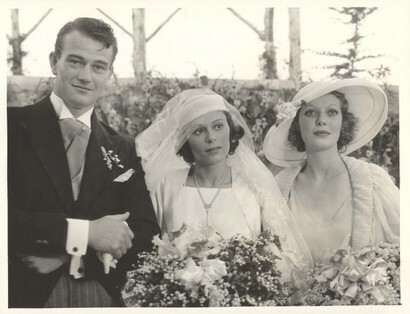 After the ceremony, the couple and guests celebrated at the home of Loretta Young (right). Wayne divorced Josephine in 1945. After Stagecoach Wayne continued to work hard at his rugged image, first starring with Marlene Dietrich in a series of movies in the early 1940s, and then showing his adapability by taking on major roles in a variety of settings: a young seaman in The Long Voyage home, a tragic captain in Reap the Wild Wind, and a rodeo rider in the comedy A Lady Takes a Chance. When Wayne tried to enlist in the armed forces at the start of WWII he was turned down due to an old football injury. Instead he made his contribution by making inspirational films such as The fighting Seabees and They Were Expendable. He also became a popular visitor to the war zones of World War II (and afterwards in Korea and Vietnam). He was so successful in this that, despite his lack of actual military service, many wartime veterans said that a major reason for their joining up was in some part related to their enjoyment of Wayne's movies. Starring in movies for nearly four decades, Rita Hayworth became one of the all-time great Hollywood legends but the careful exploitation of her as the ultimate in Hollywood 1940s desirability brought her fame and wealth, but little happiness. One of Hollywood's most famous male stars and the cinema's quintessential "tough guy." Cagney was also an accomplished song and dance man and easily played light comedy. In 1999, the AFI ranked him at No. 8. among the Greatest Male Stars of All Time. Errol Flynn, with his exceptional looks and athleticism, had become by the early 40's, nothing short of a Hollywood God. But then he began to unravel. He experienced failure, illness and far too early at the age of 50, Flynn drank himself to death. It is in Wayne's wartime films that we see becoming perfected the character of the rugged individualist that has become so well known. After the war he continued to consciously strengthen and develop this image and gradually transform himself into an all American icon. There was nothing accidental about this. Wayne was an intelligent, sensitive man who realised his value and who was quite willing to allow himself to be used as a commodity. From the late 1940s, Wayne began to produce his films as well as star in them, and in 1960, he made his directorial debut with The Alamo, a film which he also starred in (as Davy Crockett). 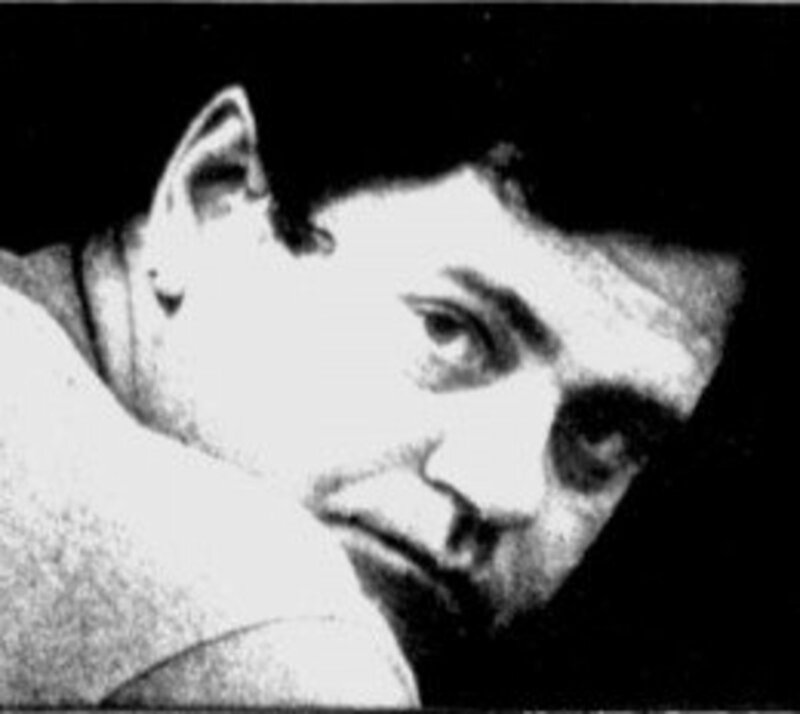 As he got older, Wayne's reputation for honest, straight-dealing continued to rise and he achieved a formidably strong position in the mind of both film critics and the average filmgoer. When he wasn't producing or directing, he continued to act in a variety of different films throughout the 1960s, among them Hatari! (1962), Donovan's Reef (1963), El Dorado (1967), The Green Berets(1968) and True Grit (1969), for which he won his first and only Best Actor Oscar. By the 1970s however, he found himself playing stereotypes of his established laconic, straight-talking screen persona in a series of westerns which succeeded financially, if not critically, because of the star's enduring box-office appeal. Reminding audiences of the actor behind the personality however, in his final film, The Shootist (1976) (the story of an aging gunslinger who, like Wayne himself, finds out he's dying of cancer), the icon gave one of his greatest film performances. Wayne was an astute businessman and did well financially out of the movie business. He lived with his third wife, Pilar, who was born in Peru, in an 11-room, seven-bathroom house in Newport Beach, Calif., where he also had a 135-foot yacht. He owned cattle ranches in Stanfield and Springerville, Ariz.
Mr. Wayne's first two marriages, to Josephine Saenz and Esperanzo Bauer, also Latin Americans, both ended in divorce. He had seven children from his marriages, and more than 15 grandchildren. John Wayne died of gastric cancer on June 11, 1979 and was interred in the Pacific View Memorial Park cemetery in Corona del Mar, Orange County, California. "Tommorow is the most important thing in life. Comes into us at midnight very clean. It's perfect when it arrives and it puts itself in our hands. It hopes we've learnt something from yesterday." It could be argued that no other film actor has ever come to symbolize so many things: rugged frontier masculinity, personal conviction, physical courage, even America itself. Even his voice seems etched in the collective memory: With a simple "pilgrim," a whole lost world is summoned. He was not a god. But he was a very clever man who created an identity for himself and stuck with it. He was a far better actor than he has been given credit for. It is nearly three decades since his death, yet Wayne still remains one of the most recognizable faces in the world. He is, as New York Times film critic Vincent Camby once wrote, "marvelously indestructible." Why not MAKE MONEY WITH HUBPAGES TODAY? 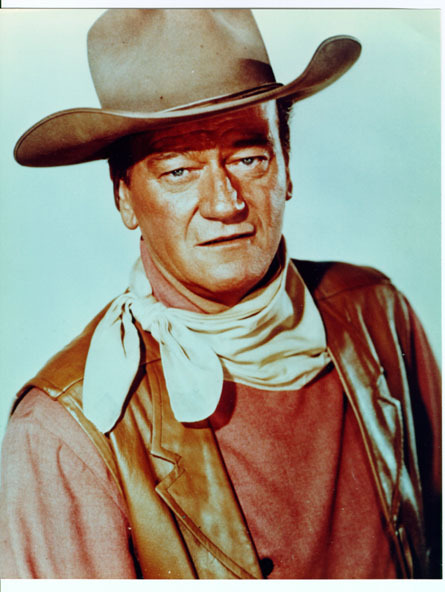 All about John Wayne, the iconic Hollywood actor, his movies, fimography and biography. The Cowboys(1972), one of my favorites of all time. found a life-size John Wayne cut out at a thrift store, am trying to i.d. the movie it's from & value. black shirt, small narrow blue tie, chaps. gun drawn, firing from the hip, left hand hitting the hammer.